How does a busy corporate executive write a book and break into the elusive league of best-sellers? Booksoarus caught up with acclaimed author Anand Neelakantan whose book Asura: The Tale of the Vanquished was named the Number 1 best-seller by Crossword and CNN-IBN. He was also chosen as one of the six most remarkable writers of 2012 by DNA. As his next book Ajaya, the story of Mahabharta recounted from the point of view of Duryodhana, is gaining momentum and praise alike, Anand speaks to us about the power of perspective, his passion for mythology and his journey as a writer. Booksoarus: Both your books (Asura and Ajaya) are stories told from the points of view of the defeated, “the other side,” so as to speak. While Asura is the story of the vanquished Ravana and Bhadra, Ajaya is the epic Mahabharata re-imagined from Duryodhana’s point of view. What is about this ‘other’ perspective that enthralls you to write not one but two books? Anand Neelakantan: Both the books are about the power of perspective. The same story, told from the other side. I have always been fascinated by the so called evil characters. I do not believe in absolute good or evil. History shows that the side that gets vanquished always get painted in black. What I did was to shine the light from a different angle so that the shadows and lights interchanged or got mixed to shades of grey. Booksoarus: What draws you to mythology as opposed to other ‘mainstream’ genres? Did you think about the market potential about it or was it purely a choice based on personal interest? 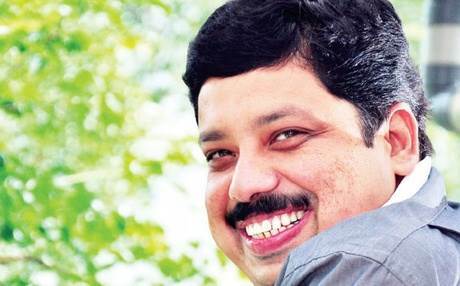 Anand Neelakantan: No one can conduct a market survey and decide that so and so genre is hot in the market and so I should write about it to become rich and famous. Writing is not like marketing FMCG product. A novel may take 5, 6 or even a decade to mature. Trends come and go. I wrote about what I always wanted to write. I think that is true about all writers. I love Indian mythology and I am now writing about it. It does not mean that I will be struck with this genre. I used to write short humorous plays and slapstick comedy for Malayalam magazines, before I decided to write about Asura. Booksoarus: What sort of research did you do in order to be able to write these books with the grandeur of such fine detailing? Anand Neelakantan: Research has to be meticulous when I am dealing with 5000 year old stories that has huge religious significance for 125 crore people. It is more difficult when I am telling it from the other side, rather than the accepted and more popular version. I had poured over many versions of Ramayana and Mahabharta, listened to many folk tales and seen live performances of stage arts that deal with the epics for each chapter. It is back breaking hard work. 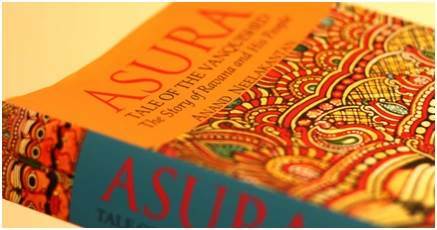 Booksoarus: In Asura, the story in unfolds through the eyes of Ravana and Bhadra. How and Why did you decide to structure the work in this manner? How difficult was it write in two voices, two first person narrators? Anand Neelakantan: Writing only about Ravana would not have given a balance to the story. It would have one boring eulogizing of Ravana and as the story was in first person, it would have got monotonous. I wanted a third perspective too and so the character Bhadra was invented. Bhadra is the Aam admi of the story, the subject of both Rama and Ravana. He is the forgotten everyday man of India. It was difficult to shift between the narratives, but I hope most readers have accepted it. Booksoarus: How long did you take to write each of these books? Tell us a little bit about the writing process. Anand Neelakantan: Though I try to be regular in writing, allocating a time of morning 04.00 AM to 07.00 AM every day, life catches up in the form of office assignments, family commitments etc. There have been many weeks when I was not able to touch my laptop for want of time. I used to feel guilty of not writing in the earlier days. Now I feel it is alright to slack once in a while, as I will be cuddling the story in my mind and I get more objectivity when I take a break. It took me six years for Asura. Ajaya was rather quicker as I already had the research material available with me. Booksoarus: Tell us a little bit about your journey as a writer. When did you get the idea for Asura and how did it culminate into a book of this nature? Anand Neelakantan: The journey has just begun. I believe I can write better and I am working on my writing every day. I hope I can produce a great book one day. The idea of writing was always there since my childhood. Ravana had never let me off and I may even say he used to haunt me. So did Duryodhana, though to a lesser extent. Duryodhana became fascinating for me after my visit to the temple in Kerala where he is the God. When one thinks about a person of subject one day or other it will manifest, some times as a book. 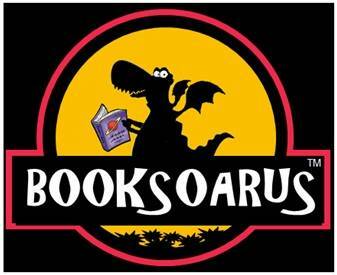 Booksoarus: The books have been received extremely well. Did you expect this sort of reception? Anand Neelakantan: When I started writing, I never thought of whether it would be published at all, let alone a best seller. Later, when the book was in its final shape and when I started getting more and more rejection letters, I coached myself to dream big. My logical mind kept telling me it is not going to be well received, if at all I managed to publish it, as I was just a debut author writing an old story known to everyone. My head used to scream failure at me pointing the pile of rejection letters on my table, my heart told me the book would be a big hit. Fortunately, it was my heart that won the bet. Booksoarus: Tell us a little about the publication process. How easy or difficult was it to get your work published? What are your general thoughts about the process for first-time authors? In your opinion can it be easier? Anand Neelakantan: There is nothing magical about the publication world. Writers approach this world with lot of romance and fear. We spend 12 years of coaching and schooling to get into a professional college, we spend 20 years of education to get a job, we spend five or ten years after the education to get a business running, yet when we get two or three rejection letters we blame the publishing industry as heartless. Think of the time we have put into writing. If we compare it with other things in life, it will be negligible. Publishing a book is as difficult or as easy as getting into a professional college or starting a business and getting it run successfully. Booksoarus: What do you think about this trend of more and more authors writing in this genre (mythology?). In your opinion why is this happening? Do you think this is a good way for people to understand their roots and their culture through these stories? Anand Neelakantan: Do not write about mythology or history just because a few books have become successful. Write them if you are passionate about it. Popularity of one particular Genre will come and go, what matters finally is whether you have a story to tell. When I started my research on Asura, everyone told me that one has have to write like Chetan Bhagat to be successful, no one will read mythology these days. Many publishers rejected it saying that mythology would not sell. I did not change my writing style to imitate Chetan Bhagat, because I cannot write like him. Now mythology is in vogue, but it does not stop Ravi Subramanian or Chetan Bhagat still being in best seller list. Every writer is unique and one has to stick to one’s style and do whatever he or she believes in. Booksoarus: What advice will you give young writers who nurse large writing ambitions despite having full-time personal and professional commitments? Anand Neelakantan: Most writers have full time personal or professional commitment. A writer cannot be a recluse. I still work for a fortune 500 company and have to put almost 12 hours a day in my job. My family demands my time, my pet dog demands my time and so do many other things that matter in life. I am not unique in this. I keep meeting many of the fellow authors in various lit fests. Some are CEOs of multinationals, some are businessmen, some are journalists and all of them have family commitments. They have small kids at home, they have to support their family and yet all of them find time to write. I admire some as they dare to take social commitments over and above all these. I am telling this because, many aspiring writers use family and official commitments as an excuse not to write. It is no excuse at all because if one is passionate enough, time will manifest itself. I am thankful to my wife Aparna without whose support and love, I would not have been able to achieve whatever I have achieved now. Also, what matters is how committed one is to writing. There will be many heartbreaks, scathing criticism, rejections etc but there is nothing that can match the euphoria when one sees the book in print finally. This post was just AWESOME !!! It was ans inspiration for me to follow my dream without making excuses or caring for what the world says but to care what your heart demands. In spite of having personal life, one has to find time, (and not make excuse of it) to reach his dream. It’s sometimes hard to believe in oneself or his work fearing it might just not come up with the expectation of others. But sometimes you just work to answer your heart and not the world, you work to fulfill your expectation. This was one of the best example for one to follow his passion for writing and really did help and will all those with similar dreams!! What is the moderate word counts for a fiction/novel.